ReStyle from Topaz Labs is a digital effects program designed to help add life to pictures which lack a certain je ne sais quoi by using pre-sets and customised effects to create your own trademark touch. 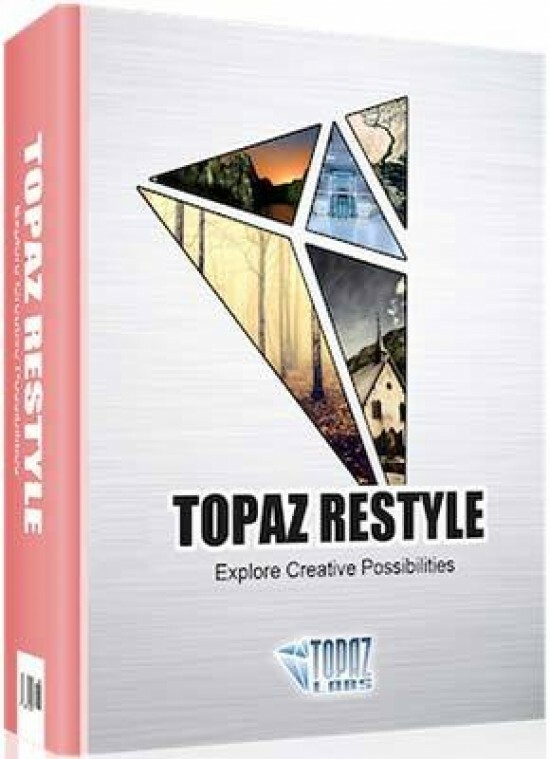 Costing $59.99 (approx £37), ReStyle is available as a download from the Topaz website and also comes with a free trial. If you decide you want to trial the product before you decide to buy it, you can download it from the Topaz site and even with our mega-slow connection, it took no longer than 20 minutes. Installation is a straight forward affair and once you're done, a Quick Start PDF pops up to take you through the program. 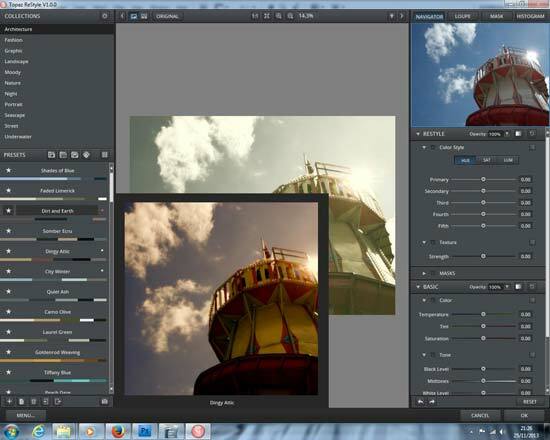 ReStyle has to be launched within the editing program you use. It's compatible with most available today, with the exception of GIMP and some older programs. To launch ReStyle, you also need a photograph loaded into the program. For this test, we used Adobe Photoshop CS4. 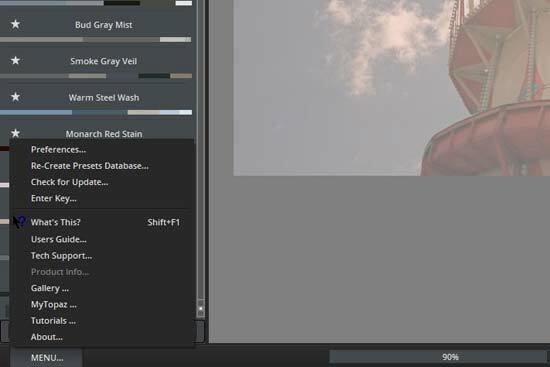 To start you off easily, Topaz have produced a series of effects that fit into various categories. These categories are listed down the left side of the window which – when launched – fills the entire screen. 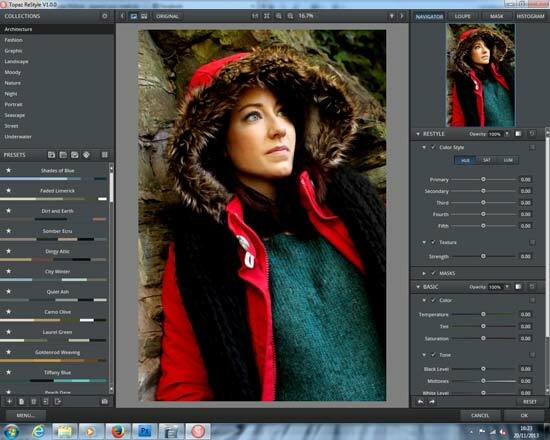 A preview of the picture is displayed in the centre of the window while multiple sections are located to the right for adjusting more localised areas such as colour styles, texture, colour, tone and detail. A handy Navigator window sits in the top right corner of the window with buttons for a Loupe, Mask and Histogram options to replace the Navigator. The pre-sets are listed below the categories on the left of the screen. There are a lot to choose from and as well as an arty name, they have a band of various colours below each name that indicates the tones that go into making that layer. Once you've selected the desired colouring, you can adjust it using the slider options to the right if you desire. There are a number of options below the pre-sets that need to be treated with some caution and also just simply need to be known about. For example, if you want to bring in additional pre-sets, you can do it using the Import Pre-set button. You can also export them. Be careful though, as it's also possible to delete them. 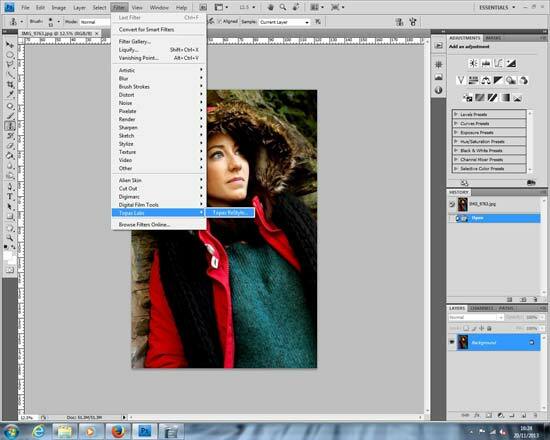 You can adjust the way you view the picture you're editing by using the array of tools above the main preview image. The small arrows at either end will push the left and right columns away to give you a full screen view. You can split screen the images to see a comparison side by side with the original. There are a number of zoom tools available. You can do a quick zoom to full size with the 1:1 button or a Fit to screen is sat next to it. Magnifying glasses allow you to zoom in and out while the drop down tab can let you zoom in using a percentage scale.